Hurry! This 3 Bedroom, 2 Bathroom, 2 car garage home with all the upgrades on a Premium lot and screened in Pool in Pinnacle Parke is now available. This was Paytas Homes' model home in 2006. Exciting features and upgrades all through the house (including: built-in entertainment center, remote control fire place, summer kitchen, relaxing pool, upgraded landscaping, 3-zone speaker system, 4 sun tunnels, hurricane shutters& much more. The private back yard meets a lush conservation area. Gated Community offers a clubhouse w/ pool, street lights and sidewalks. The location is convenient to the A-rated schools, Movie theater, shopping, restaurants, I-95, I-4, the Beaches, Speedway and more! Discreetly available for private showings. It presents a substantial opportunity to a savvy buyer looking for a nearly new Pinnacle Parke Home at a drastic discount from its replacement cost. The City of Port Orange is located south of Daytona Beach. Established On April 26, 1867, the community of Port Orange started out on the banks of the Halifax River. Now almost 150 years later, Port Orange is a community of 56,067 people who call this place home. Planned by choice, not by chance, Port Orange blends beauty and opportunity within its 28 square miles. From its tree-lined streets to its parks, and beaches this community is the pride of Volusia County. The area is prized by residents for its relaxed lifestyle and natural, uncrowded beaches. It has developed a reputation as a community that takes its land use regulations seriously, and one that is committed to preserving the character and lifestyle of a primarily residential haven. 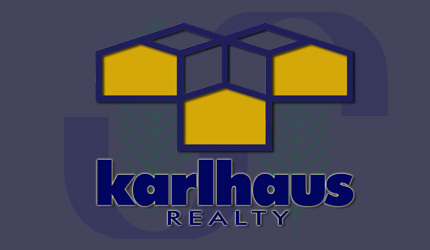 © Copyright KARLHAUS LLC 2006-2013 - All rights reserved. Except as specifically permitted, no portion of this web site may be distributed or reproduced by any means, or in any form, without Karlhaus' prior written permission.